When you work with solar panels, you don’t just need a panel to supply power, battery to store power and lights to glow, you will always need a good charge controller. The charge controller is a device which keeps status of battery voltage, solar voltage, etc and charges the battery in a manner that the maximum efficiency is achieved. There are many kind of charge and supply controller which work as their design. Today I’m going to introduce you a ‘Zero drop dusk to dawn solar charge controller”. From the name, we can say that the charge controller features a Zero drop of voltage between the battery and solar when charging. This feature eliminates unnecessary heat and gives more efficiency compared to other models. 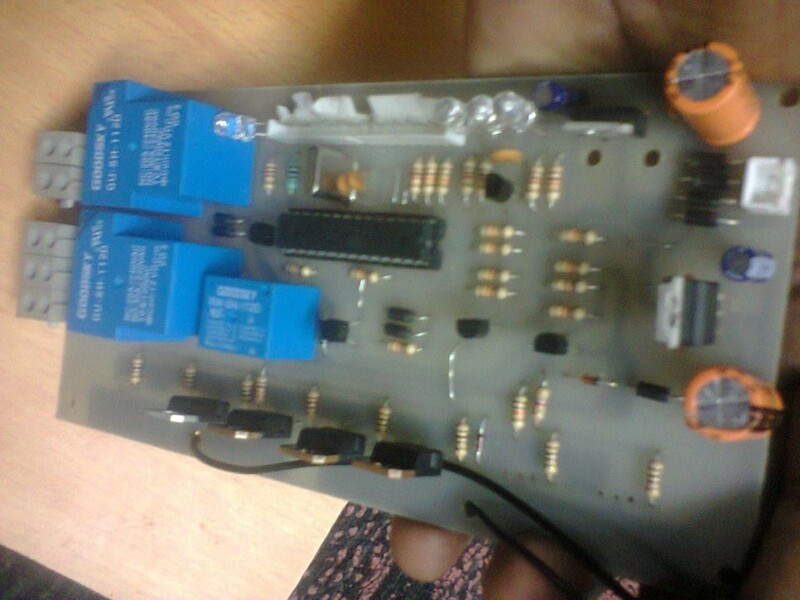 The charge controller is made by my friend Sandeep Kumar who is an electronics engineer by profession and he works on the solar technology. He has designed the charge controller in such way that it detects the solar voltage and determines the dusk and dawn and takes appropriate strategies to charge the battery or changeover mains supply. the device features LED status indicators to indicate battery charging, full charge and mains cut-off. 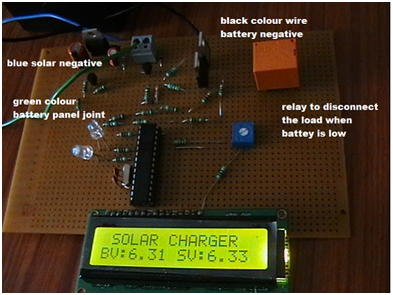 With minor adjustments the kit can be used for 6,12,24 or 48V solar systems. You can email Sandeep at sandysplash230 @ gmail.com for details on design or for purchasing the kit along with diagram, hex code, tech transfer, etc options.